Summer is winding down and there's no better time than the start of a new season to get out there and explore cultural events. The arts, from music to photography, painting, writing and theatre, play an important role in Cayman culture and there's always something exciting happening close by. The following are a few September highlights. On now and running until Saturday, September 27th, “Ivan Remembered” is a Fidelity-sponsored exhibition dedicated to honouring the 10th anniversary of Hurricane Ivan in the islands. It will feature over 45 fine-art photographs from the celebrated Courtney Platt and David Wolfe, as well as quotes taken from members of the public, and a short film. Several additional events will also be held throughout the month, including “Sharing Stories with Courtney Platt” on September 10th, a drop-in art activity for families on September 13th and Late Night at the Gallery, as well as screenings of the 2008 documentary “Trouble the Water,” on September 26th. Held every Wednesday at the popular restaurant KARoo, Open Canvas allows budding island artists of all ages to get creative and display their talent in a public space. Beginning at 7pm, attendees must reserve an easel in advance and bring their own supplies, including paint and brushes. From September 18th until October 11th, visit the Cayman Drama Society's Prospect Theatre to enjoy their rendition of the famous Jekyll & Hyde: The Musical. Showing Thursdays through Saturdays at 730pm, it is being produced by Sheree Ebanks and directed by Teri Quappe. Based on the Robert Louis Stevenson novel, the cast, costuming, score and choreography are sure to delight. 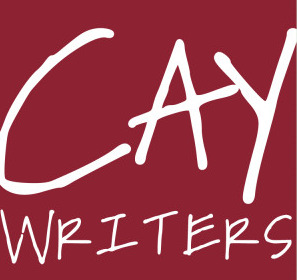 An organization dedicated to supporting both accomplished and aspiring writers in the Cayman Islands, CayWriters hosts a monthly Writing Group on the last Saturday of every month (September 27th, October 25th, November 29th, etc.) in the Art Room at Books & Books. Here, authors share their work, receive feedback, encouragement and advice, and discuss their challenges. CayWriters also hosts events, such as book fairs, that allow members to promote their work, network and more. Exploring what Cayman has to offer, from thought-provoking photography exhibitions to exciting musicals and more, is a great way to spend the month of September. The only question is, which one will you hit up first? Tuesday, 9th September 2014, 07:17pm.